We added Several SALE Priced Bolts to our online inventory! A few of you found them this weekend. We will continue to add more to our online inventory. 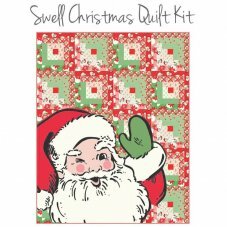 Featuring Swell Christmas by Urban Chiks for Moda Fabrics! Finished size 56" X 70"
Purchase backing separately: 4.5 yards (44" wide) or 2.25 yards (108" wide). 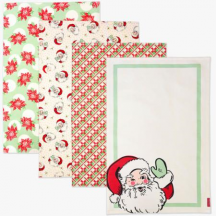 Add Holiday Cheer to your Holiday Kitchen with this set of four 100% cotton towels, decorated with Urban Chik's delightful Swell Christmas designs. Each towel is 17" x 28". Includes 7" x 16.25" fabric gift pouch. Santa & Mrs. Claus may make an appearance. 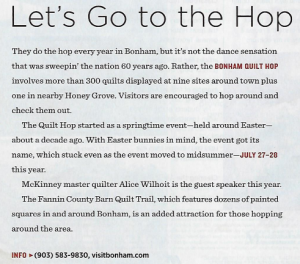 Click to visit Savvy Quilters!